The teaching programs emphasize on both theoretical and practical training in the areas of biology, ecology, anatomy, physiology, morphology, acaridology (mitulogy), toxicology, and systematic of insect pests and other animals. We also provide the students with tactics relevant to Integrated Pest Management (IPM) that will ensure favorable economic, ecological, and sociological consequences. This IPM tactics help control and improve the environmental quality by suppressing pests while minimizing the adverse impact on cultivated crops, non-target animals and human beings, and the awareness of overall contamination of the agro-ecosystem and the environment. Our department offer two teaching programs leading to a Bachelor of Science and a Master of Science degrees that would serve to make the challenge more explicit to the professional entomologists and help to stimulate the students toward the career opportunities in this vital area. 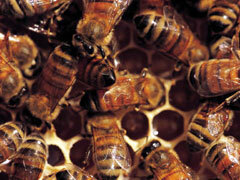 In addition, our department also engage in teaching and conducting research the management of economic insects i.e. honeybees, silkworm moth, and lac insect, and undertaking mass culture of parasitoids, predatory insects, and edible insects. 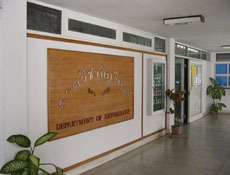 Department of Entomology was established in 1981 by upgrading the entomology section of the formerly Department of Plant Protection to accommodate the growth in entomological research and development for sustaining the socio-economically needs of the nation.